I used to be quite happy with my previous mobile. 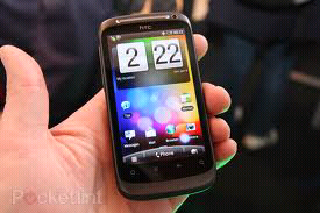 Then I was offered a free upgrade to an HTC Desire S. Wow ! It's like going from a calculator to a lap top ! In my completely non-techie opinion it's an awesome handset . The downside is that since I've had it I've hardly touched the pc , apart from work there's simply been no need. Blog posts have , as a result , become few and far between. But I've just discovered the android Blogger app which if it works ( and if you are reading this it must do ) enables me to blog on the phone. So be prepared have the pants bored right off you on a much more frequent basis . Interesting Wurzel. I've been wondering if these new handsets are up to the job these days, so I might just cancel my landline and go completely mobile if they're OK now. What's security like then, for things like Internet Banking...? If I didn't live in a bit of a mobile coverage blackspot I would do the same . Not used internet banking on the HTC yet but no reason to think it would be any less secure than a laptop / pc. You can download anti-virus apps such as AVG for peace of mind as well.